Every girl loves a fairytale and of course my favorite part is usually when the fair maiden is kissed by a handsome prince. Well, in this case my dapper young prince just so happens to be my 11 year old son who was delighted to be my date earlier this week for the IMAX Advanced Screening of Disney’s much anticipated modern remake of Cinderella. 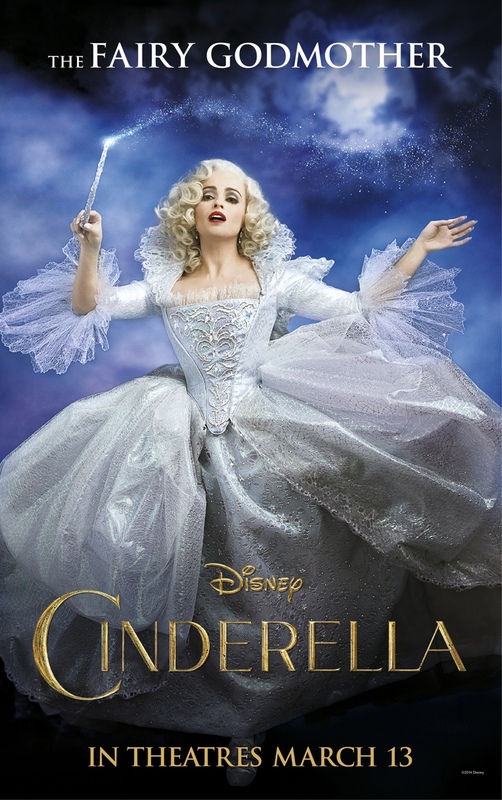 This updated Cinderella was directed by the talented Kenneth Branagh and stars the wickedly fab Cate Blanchett as the Evil Stepmother and Helena Bonhan Carter as the beautiful yet zany Fairy Godmother. This story of Cinderella is slightly different than the classic tale. It follows the fortunes of young Ella (played by the lovely Lily James from Downton Abbey) whose merchant father remarries following the death of her mother. Ella welcomes her new stepmother and daughters into her home, but when Ella’s father unexpectedly passes away, she finds herself at the mercy of a jealous and cruel new family. Finally relegated to nothing more than a servant girl covered in ashes, and spitefully renamed Cinderella, Ella could easily begin to lose hope, but she is determined to honor her mother’s dying words to “have courage and be kind.” When she meets a dashing stranger in the woods (Kit aka the Prince) she feels like she has met a kindred soul. 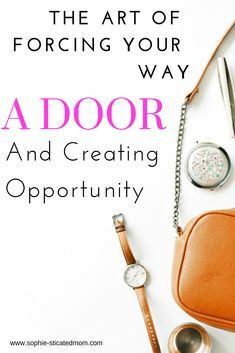 When the Palace sends out an open invitation for all maidens to attend the ball, Ella is excited about reconnecting with the charming Kit, but her stepmother forbids her from attending the ball. But, as in all good fairy tales, help is at hand, and a kindly beggar woman turns into her fairy godmother and with a few flicks of her wand changes Cinderella’s life forever. On top of this modern twist of a classic tale, the IMAX Cinderella Viewing Experience takes the movie to whole new level! 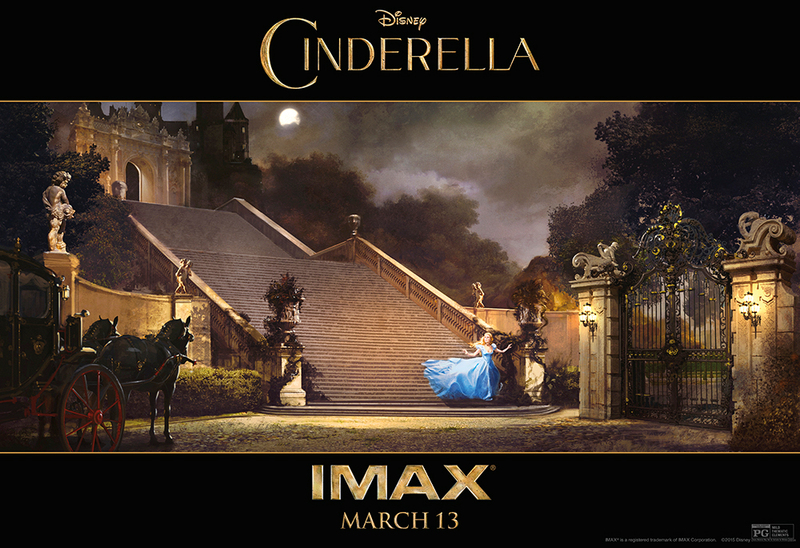 Cinderella in IMAX is enhanced with proprietary Digital Re-Mastering technology, crystal-clear images, customized theatre geometry and powerful digital audio, which makes you feel like you are in the movie. When I was watching this movie in IMAX, it felt much more vivid, larger-than-life and it makes me feel like I am getting more out of my movie viewing experience. Honestly, IMAX is such a juicy and rich viewing experience, that watching movies in a more traditional theater suffers by comparison. 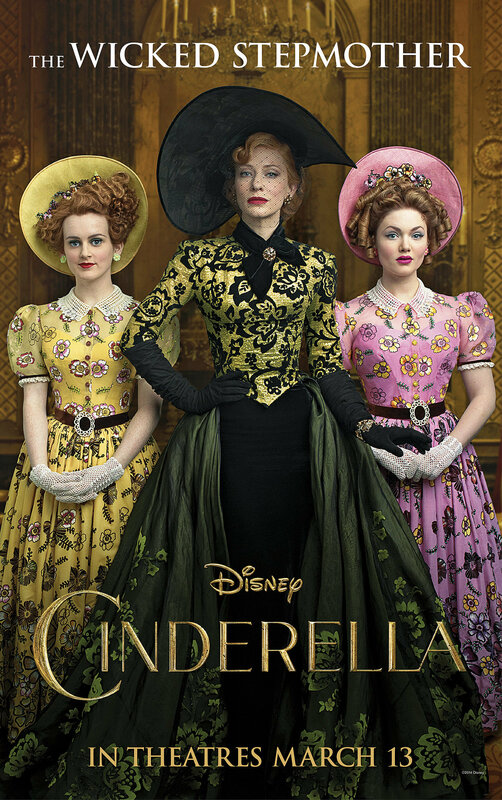 On top of the state of the art viewing technology were the delicious seasoned acting chops of Cate Blanchett and Helena Bonham Carter (as the bad & good witch respectively) and the stunning swoon worthy costumes in this movie. Cate’s portrayal of the Evil Stepmother is spot on, wickedly fab and her ornate, dark embellished costumes were out of this world! Helena is equally fab as a rather kooky Fairy Godmother in all her poofy white-gowned glory. The campy performances by these two actresses along with the gorgeous costumes were by far the highlight of the movie for me. This new Cinderella was equally as appealing to me as it was to my 11 year old boy and it was such a treat to attend this Advanced Screening at IMAX headquarters in Los Angeles. Before the movie, we had the opportunity to enjoy some tasty morsels, admire the glass slipper, get princess glam with the latest Cinderella Makeup Collection from MAC and mingle with other princes and princesses before the movie. Cinderella opens nationwide tomorrow March 13, 2015 and it is the perfect movie to see with whole family. And if you want to step into a vivid larger-than-life modern fairytale and escape for a couple of hours, I highly recommend seeing it in IMAX!